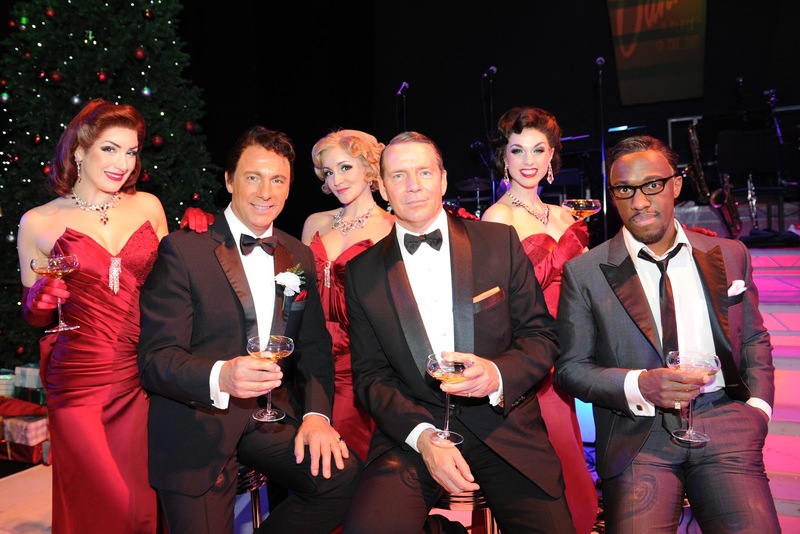 A festive treat was in store last night at the Wyndhams Theatre in the heart of the West End. 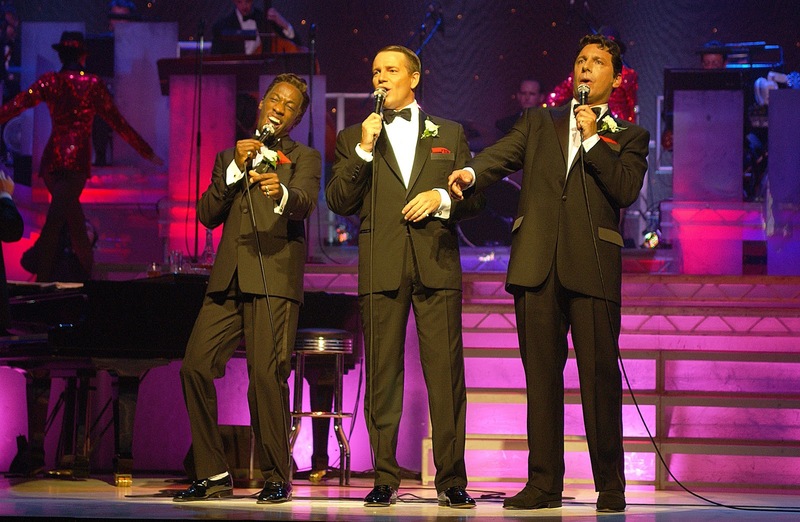 Christmas with The Rat Pack is back in town, and boy does it deliver! Quite possibly the best imitations of Frank Sinatra, Sammy Davis Jnr. and Dean Martin in the business, you are transported back to The Sands in Las Vegas along with a huge Christmas tree, and what has to be one of the best bands I have heard in a long time, led by Musical Director Matthew Freeman. The band's arrangements are tight, incredibly well played and every instrument can be heard beautifully, with some lovely work by the sound department not to overpower the vocals. Stephen Triffit's Frank Sinatra is great, his singing is lovely to listen to, sounding like ole blue eyes himself, and doing a range of well known numbers like Come Fly With Me, I've Got You Under My Skin and New York. New York. Giles Terera is outstanding as Sammy Davis Jnr, it is like he is actually there in the room with you, and he does a mighty fine interpretation of Mr Bojangles. Mark Adams' Dean Martin is also in fine form, adding a touch of comedy about his drinking ways, and again the vocals are top notch in Volare and Mambo Italiano. A lovely addition are The Burelli Sisters, with very Christmassy costumes, gorgeous voices and harmonies, and a delight to watch. This show has it all, great singing, lovely arrangements and a fantastic night out so you can forget all your troubles and enjoy the talent on show. 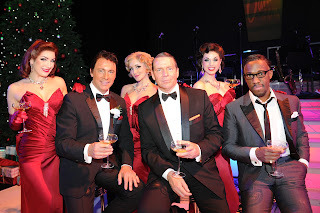 Christmas with The Rat Pack Live From Las Vegas runs at the Wyndhams Theatre, London until 8th January. 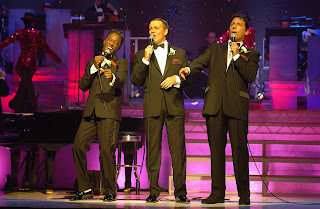 The Rat Pack Live From Las Vegas runs 9th January - 21st January.